Why? Due to the nature of assets involved in Oil Sands, many owner-operators have switched from reaction-driven inspection and maintenance programs to proactive asset integrity management of critical process equipment based on Risk-Based Inspection principles. This aims to ensure asset reliability, technical integrity, safety and regulatory compliance. In contrast to the past, when millions of dollars were pumped into equipment repairs and production downtime during shutdowns, more and more global-scale companies are realizing the tangible cost benefits that accompany these high-tech preventative strategies. Below we will detail further how these solutions will benefit your Oil Sands company if it hasn’t yet joined the AIM revolution. Naturally, the scale and value of critical assets involved in Oil Sands Mining operations are enormous. Large-scale machinery such as crushers are required, as well as sifters, separators, and many types of pressure, piping and rotating equipment. A vast number of these assets are especially subject to severe damage from corrosion and erosion. 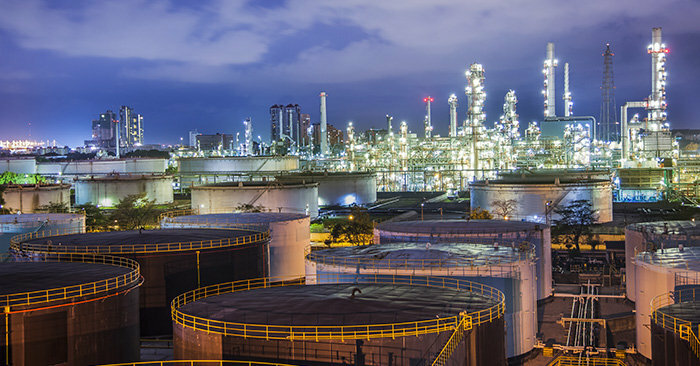 As these complex ranges of assets are often in remote and varied locations, it makes the need for centralized asset integrity management even more important as these solutions have been proven to be the most practical, user-friendly, cost-effective, and certainly the most reliable. In addition, monitoring asset health and scheduling intelligent inspection intervals have become much more effective and efficient with these modern AIM solutions. Another huge motivator for Oil Sands Mining companies to evolve their systems is the continuing trend toward stricter regulations. There is constant increased pressure to improve reliability and safety standards while reducing risks in this industry. Oil Sands companies are being audited according to increasingly exacting criteria (e.g. ISO 55000) and with the old systems, this often results in costly and embarrassing audit failures, expensive preparations, and exhaustive manpower efforts. Collect, consolidate, and centrally manage all engineering and operational data for all asset types from a standardized database. Manage all your equipment types unique to Oil Sands from a single platform, including pressure equipment, piping, rotating equipment, sifters, separators, crushers, etc. Provide maintenance formulae and reports for all of the aforementioned asset types as well as any additional assets involved in the process, including dump trucks and any equipment your mine has that isn’t registered but needs to be properly maintained and inspected. Automatically streamline adherence to industry-relevant regulations, including ISO 55000. Incorporate Risk-Based Inspection models (quantitative, semi-quantitative, or qualitative) to apply sophisticated risk analysis to your assets’ probability vs consequence of failure, drastically reducing shutdowns and inspection points. Utilize Integrity Operating Windows to closely monitor each asset’s operational status and provide alerts when predefined boundary limits are exceeded. Integrate with any existing ERP, SAP or CMMS to automatically deliver notifications of work that needs to be done on an asset, minimizing duplicate data entry, and making sure the integrity and financial systems are always in sync. When your Oil Sands company has implemented such a system, you will have stepped up to the leading edge of technology and you will experience drastic improvements in your operations. With the health and operational status of all assets constantly monitored, inspections will be scheduled at more intelligent and extended intervals, inspection points will be reduced, downtimes will be halved, and regulations will be adhered to – all from a centralized location, and all specifically tailored to the needs of the industry. Your company will realize an immediate ROI and exponentially improved efficiency. Metegrity is an industry leader in asset integrity management software for asset intensive industries. Our suite of inspection data management software (IDMS) modules utilizes built-in RBI capabilities for clients with pipelines, plants and facilities. Our flagship product, Visions Enterprise®, currently protects over $550 billion in assets across 850 facilities around the world.